some nipplefruit, cherimoya, kura-kura durian, jujube fruit or miracle berries? The RIDM, Montreal’s international documentary film festival, wraps up this weekend. 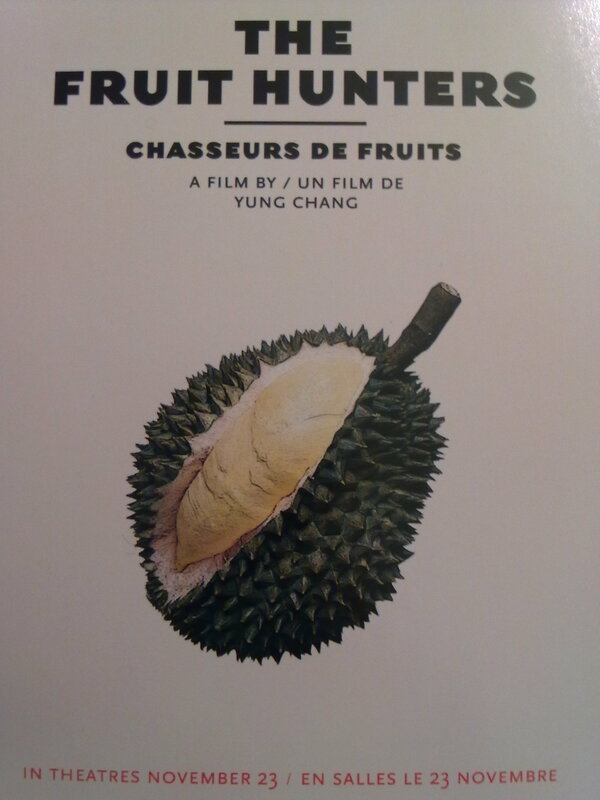 Making its world premiere at this festival was director Yung Chang’s ‘The Fruit Hunters’. Here the young director who vaulted onto the scene with ‘Up the Yangtze’ turns his gaze (and macro lens) towards the wondrous diversity of the world’s edible fruits. This week I had a chance to go down to Cinema Excentris to catch an early screening. 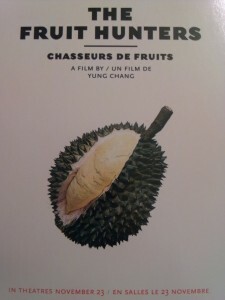 The movie follows several individuals, including Hollywood actor Bill Pullman, who dedicate themselves to the collection, tasting and growing of exotic fruits. These tasting trips range from Florida to Hawaii to Borneo’s jungles in the search for new gustatory sensations. The passion of the characters illustrates the very special connection that people have with fruit, especially when they grow and care for the plants themselves. The Florida rare fruit council’s meetings and Indonesian market scenes cannot help but draw you in, preying on your curiosity at the astounding variety in comparison to our local options. Picture the look on a child’s face when trying a new fruit for the first time. The amazing thing is that the identical look overcomes even the most jaded adult when they sample the flesh of a novel berry or melon. The number of fruits that have penetrated our common marketplace is a fraction of a percentage of what’s out there awaiting the adventurous taster. The only real problem in watching the protagonists taste peanut butter fruit,ice cream beans, spicy bilimbis, rare mangos and giant jackfruits is that no words can truly describe the flavour of a fruit to one who hasn’t experienced it. You’re left desperately wanting to try all the ripe and juicy subject matter. However, the upcoming theatrical premiere can solve that problem for you. For the upcoming Montreal launch, the ticket will include access to a tasting table of exotic fruits. The film will be playing at Cinema Excentris as of November 23rd, and will also be screened at the Forum theatre. Published by erik on 2012/11/15 at 11:22 PM under General Discussions.